Restore Under-Active Thyroids - Piedmont Physical Medicine & Rehabilitation, P.A. Thyroid abnormalities are commonly considered for complaints including fatigue, cold limbs, fibrocystic disease, dry eyes, weight loss difficulty, and unresolved pain. Speculation concerning thyroid function often persists even in the presence of normal studies. 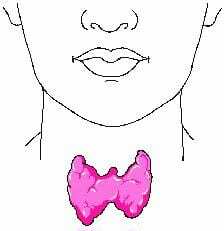 It is not difficult to diagnose an obviously over- or under-active thyroid. It is, however, difficult to prove an under-effective, normal one. One of the simplest ways to determine if thyroid function is a problem, even in the presence of normal laboratory studies, is to check morning body temperatures. They are preferably obtained before getting up from bed. If body temperature is at least one degree centigrade below normal (98.6 degrees centigrade), on a consistent basis, then restorative treatment should be considered. While natural or synthetic pharmacologic grade replacement is commonly employed, this approach does not address why the under effective thyroid problem exists to begin with. Co-morbid medical diseases such as chronic, hidden infection, poor nutrition and rheumatic illness clearly can contribute. More recently, environmental factors including radiation exposure (as in children who had their thymus irradiated) and relative bromine toxicity have been brought to the forefront. Bromine has been used in baked goods and as a fire retardant in carpets, mattresses, upholstery, furniture, and various pieces of electronic equipment. 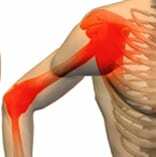 Eventually, accumulation within the body becomes high enough that iodine is displaced. 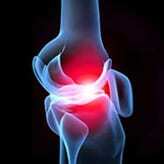 When that happens, the biochemical processes that depend upon iodine are no longer effective. Reducing bromine intake or exposure seems like an obvious solution, but in practice it can be difficult due to its widespread use, and ineffective, as iodine stores are not replaced in the process. The body produces no iodine on its own and we cannot simply replenish it through a normal diet. While in some areas the soil used to have rich iodine content, over-farming has put an end to that. To compensate for this, iodine was added to salt, bread, and milk. Today, however, iodine is no longer added to bread or milk, and the amount added to salt is only enough to prevent overt thyroid disease. Fortunately, reliable supplementation with iodine is available and can effectively increase energy, reduce fibrocystic disease, warm limbs and relieve pain. Be aware, however, that because iodine supplementation can affect thyroid function, cause acne-like lesions, frontal sinus headache, and increase salivation and sneezing, it should not be taken without physician supervision. Contact our office wellness coordinator for more information about and assistance with obtaining Iodoral.